The pleasant or cheerful aspect of the ones we love will be easily scrapped with this vibrant digital scrapbooking collection. 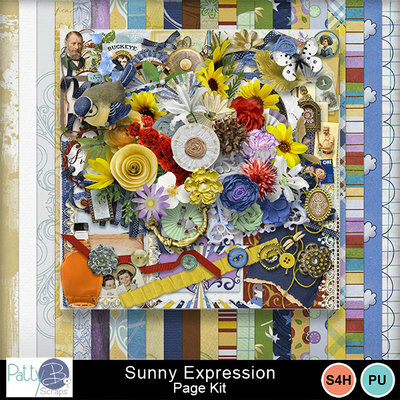 Those photos with bright sunny smiles will light up your layout page! The palette of this collection has sunny golden yellows, bright blues and a touch of lavender, and for contrast, some deep brown, red, and blue too. Perfect for Father’s Day, vintage and heritage photo scrapping as well.